Did you know that the last Sunday before Advent is known as “Stir-up Sunday”? That it’s thought that this tradition was introduced to Victorian Britain by Prince Albert? Did you realise that the Common Book of Prayer is the source for the nickname as the Collect for the Day starts “Stir up, we beseech thee, O Lord“? And I love the idea that hearing those words whilst in church on that Sunday, meant that cooks, wives and servants would be reminded that it was time to get started on preparing the Christmas pudding. The reason I know all this is that this year Stir-up Sunday fell on November 23rd and I went on-line to track down its origins, whilst G and M helped my Mum create a culinary masterpiece worthy of a M-friendly Christmas. My Mum was given this recipe a couple of years ago and it proved relatively easy to convert to suit our allergy requirements. The children have enjoyed making it and this year was no exception, even though we know there’s a good chance that M won’t be able to eat it by the time Christmas arrives. 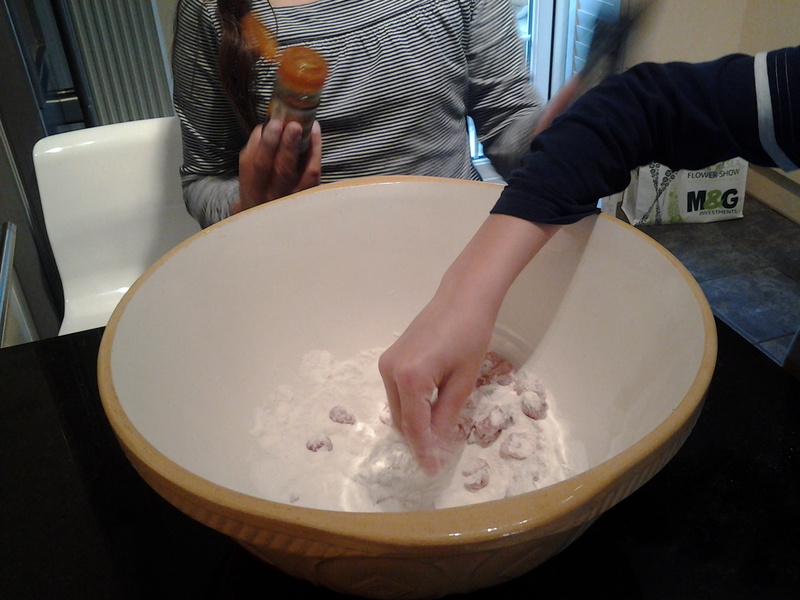 The recipe was also a great opportunity for M to practice his reading skills and he did a sterling job in making sure that all the ingredients were present and correct. 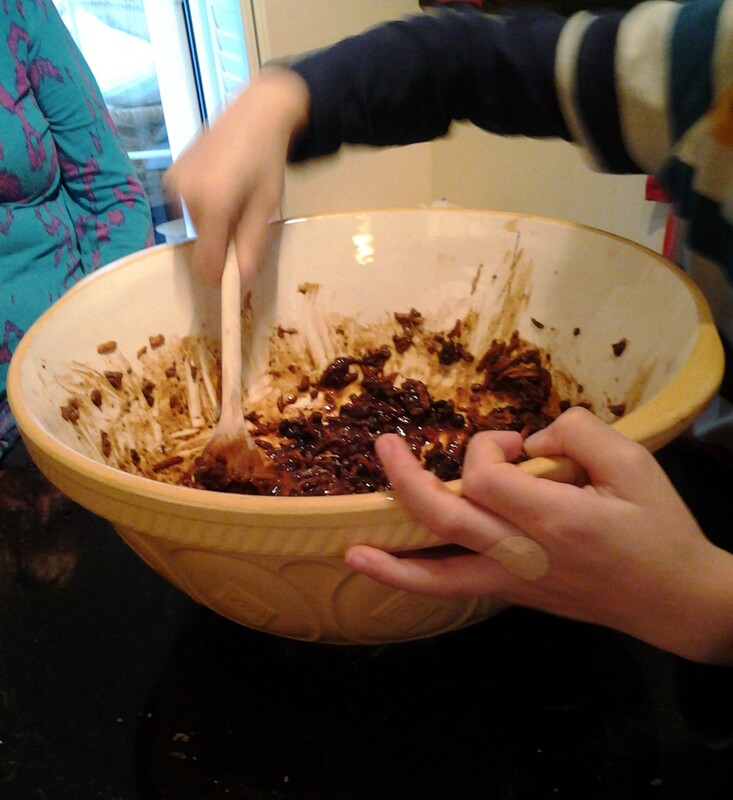 With all the ingredients in the bowl, the whole family took their turn to stir the mixture and make a wish. M took a little convincing not to share his wish with the world, but the pudding was made and is now waiting for Christmas day. 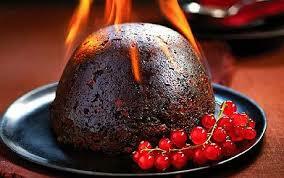 I’m assured by those in the family who enjoy Christmas pudding, of which I am most definitely not one, that this is a great recipe and that the pudding is delicious as well as being allergy-friendly. Definitely one for the cook-book! This entry was posted in General and tagged Baking, Christmas, Christmas Pudding, Dairy free, Egg free, Food, food allergies, gluten-free, Gluten-free diet, home cooking, Soya free, Special Diets, Stir up Sunday, wheat free on December 4, 2014 by bluesingingdragon. Such a great tradition – I love knowing that families all over the place are doing it. You crazy Brits with your crazy Brit food! Xoxo. F.